The Faded Red Alumni Association is a non-profit organization dedicated to providing a life-long bond to the University through social, service, sports, cultural and networking opportunities. The Faded Red Alumni Association, founded in 1982 by the likes of Mike Raffe, Tim Smalley, Paul Detweiller, Iain Heggie, Clark Blynne and Frank Lichtner, was founded to support the University rugby sides. 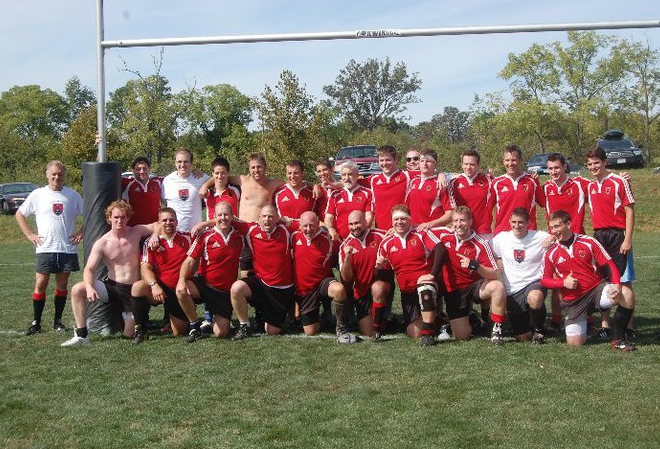 Initially named, the Cornell University Alumni Rugby Football Club, now 'The Faded Red' Alumni Association is committed to meeting the needs of the three University teams (the Johnson School, Men's Side, Women's Side). A group of players in the early '90s worked to organize the alumni and an event was held in May of 1993. From this a formal board was formed, with members Vincente Stasolla, Pat Kandiannis, Bobbie Weggler, Mike Raffe, Frank Lichtner, Nick Strenk, and Fleming Heilman (who joined soon after this event). Since that time the organization has grown stronger and larger, most recently helping to secure a protected rugby field on Cornell's campus. 'The Faded Red' Alumni Association is committed to meeting the needs of the three University teams (the Johnson School, Men's Side, Women's Side).